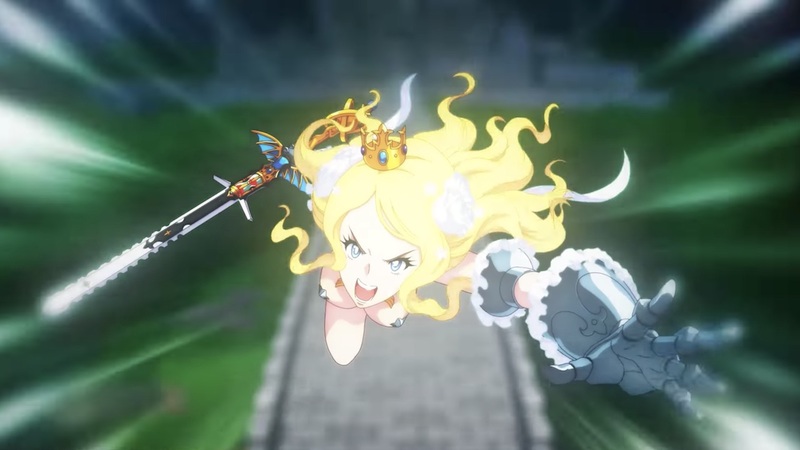 Blade Strangers is Studio Saizensen’s latest take on the 2D fighting game world that sees characters from modern day indie titles collide in a free-for-all melee slugfest. Nicalis has taken it upon themselves to not only provide publisher support early on in the development process but to also flesh out the roster with the little stars of gaming who have made quite an impact in recent years. The fighting genre can be an intimidating beast amongst newcomers, to say the least. The more modern day fighter does try to make an effort to soften the blow in allowing the less skilled player to feel sufficient enough by using simple input commands and auto-combos. Where things get a bit sticky is how there is usually a much deeper layer to the simplicity than what meets the eye. While that layer of complexity is sure to please the hardened fan, the harsh reality is that the casual gamer is still forced to curl up into the fetus position while on the receiving end of a relentless beatdown. This tends to kill any confidence a new player has, for they will rarely ever grow based on these simplicities alone. While the obvious response to this is to just “git gud,” the truth of the matter is that people hate to lose. Well that, and not having the time nor patience to study the ins and outs of the system and all the jargon that comes along with it. This is where Blade Strangers comes into play. Not only does it have the fancy auto-combo and simple execution thing going on, it also has a few combo-breaking mechanics to allow the player some much-needed breathing space to analyse the fight. In Blade Strangers, you have four attack buttons at your disposal that come in the form of light (L), heavy (H), skill (S) and unique (E). Combining each of these with a straight directional input will usually modify an action in the same way as Super Smash Bros. or Pocket Rumble. Pressing button combinations simultaneously will set off the more universal special abilities such as throws, EX moves and the “Heating Up” comeback mechanic that each character shares. These can be (and some are) set as shortcuts using the ZL, ZR or L Buttons. For example, combining H, E and S (or simply the ZR Button) will unleash your Ultra Skill at the cost of a stock of meter. Pressing the same action twice will beef up the attack for the price of an extra stock. Where it becomes interesting is how the offensive skill action (L and E) operates. This ability will use meter for the privilege but when used defensively, you can interrupt your opponent’s combo to gain some much-needed distance. Time the action correctly on the first attack and your opponent will crumple into a stunned state which will leave them wide open for a return smackdown. Not only that but the same action can be used as an offensive tool to keep combos going a little longer. The offensive skill can actually cancel your last attack allowing you to dive straight into another string. While this sounds like it can be broken to pieces, know that each character has a combo meter that will drain as you dish out the dirt. This combo meter is the key to keeping things approachable. Rather than trying to style off with the biggest and most complex combo you can collide frames against, the gauge is instead more about figuring out the max damage you can deal out before the meter itself depletes. It’s a clever mechanic that ensures that infinite game breaking loops don’t spoil the balance, as well as to allow consistent space for each player throughout the match. The high-level player may very well scoff at this concept but it does allow the freedom to develop the fundamentals that are implemented throughout fighting games. Blade Strangers isn’t a fighter with the intention to make everyone a winner, of course, as there isn’t really a lot of randomnesses here to imply a party game fluke outcome. Where the skill barrier does lie is knowing when to attack and how to manage your meter. Studio Saizensen has clearly thought about how to enforce this by slowing down the gameplay to help aid reaction time in knowing when it’s your turn to attack. This sacrifice for simplicity and speed may restrict the game from having any chance at spectator competitive play. The slower pace and input leniency of Blade Strangers is sure to be pushed aside in favour of the much faster and more chaotic entries out there. What I will say is that this is the first fighting game where I found the directional buttons actually very useful. The slower walk speed and lenient input system tend to work well for me in keeping my inputs clean and intentional. Yet, not every fighting game needs to be esport worthy to be a competent experience. What it does need is a roster of interesting characters to clash shins with. Blade Strangers has managed to supply this by allowing indie icons of the gaming world to be seen in new and interesting ways. The biggest surprises were, without a doubt, the announcement of fan-favourites like Shovel Knight and Issac. Shovel Knight has started to make the rounds in various fighting games nowadays – not only landing a cameo in Super Smash Bros. Ultimate as an assist trophy, but also making his way as a new contender for Super Smash Bros. clone, Rivals of Aether. Rather than being the dwarfish cluster of pixels we all know and love, Shovel Knight is now the size of Sagat – looking as though he’s been juicing himself to the gills with boot-legged anime steroids. Issac, on the other hand, is still the pint-sized sadistic mardy bum child who’s haunted by the voice of his abusive mother. Isaac comes wailing into the action with his trademark holy tears of pain while donning a child’s play style carving knife. In fact, the only two original characters of its 14 strong roster are the Greek goddess-inspired Helen and hungry virus Lina. All the rest are from games such as Code of Princess EX, Cave Story +, Azure Striker Gunvolt and Umihara Kawase. Each representative of their franchise brings with them their own tools of the trade which are implemented nicely to fit in with the madness. The game itself looks pretty good too. Using 3D technology and rendering them into 2D sprites lends each character a unique visual appearance to fit in well within the roster. The end result looks hand drawn with a nice collection of animated frames for each character to express themselves with. There is some graininess to the edging of the characters but, somehow, it works well enough to fit in with the visual charm of the game. Unfortunately, Blade Strangers isn’t without its faults. The 3D backdrops look rather cheap and generic as if they have been lifted from an iPhone 4, and the single-player content is pretty scarce, to say the least. There is a story mode that plays around with simulation theory and has some cool little interactions between fighters, but the repetitive dialogue in place around those moments makes trawling through it all a bit of a messy chore. They should of really just entwined the story into the Arcade mode which, much to my disappointment, I easily beat on its hardest setting without any problem. On top of that, the only reward for my efforts was a lousy Game Over screen set over a black background. The mission mode in place is a collection of combo trials that, due to its simplistic nature, are also too easy to complete. Other than that, the only real longevity you are going to get here is the traditional couch competition and online play. As far as the netcode in Blade Strangers stands, it’s actually quite good. Fights come in thick and fast especially in training mode and, thanks to the simple input mechanics, I found lag to be at a minimum. As well as choosing what country to compete in, you can have a stealth match for a blind date beatdown or go at it in both casual and ranked. The online options are simple and clean without any lengthy load times. The one thing that I would like to have seen added would be a best of three set for those salty runbacks. Either way, at least the smooth experience makes up for the dire single-player content. Just bear in mind that there does seem to be a lot of team Solange making the round at the moment. This is probably due to the range of her big sword as opposed to… well, never mind. Blade Strangers does a decent enough job at building the bridge between the simplicity of Pocket Rumble and the anime flair of BlazBlue Cross Tag Battle. The lean towards concentrating on core fundamentals makes this all-star brawler an approachable but enjoyable throwdown for those that are keen to make their mark in the genre. While the game’s easy execution may not entertain hardened enthusiasts for long, those that don’t have the time to surgically pick apart the demanding layers of the genre should certainly get a good fix out of this one.